Natural resources like oil and minerals are the largest source of unaccountable power in the world. Petrocrats spend resource money on weapons and oppression; militants spend resource money on radicalization and ammunition. Resource-fueled authoritarians and extremists present endless crises to the West--and the source of their resource power is ultimately ordinary consumers, doing their everyday shopping at the gas station and the mall. 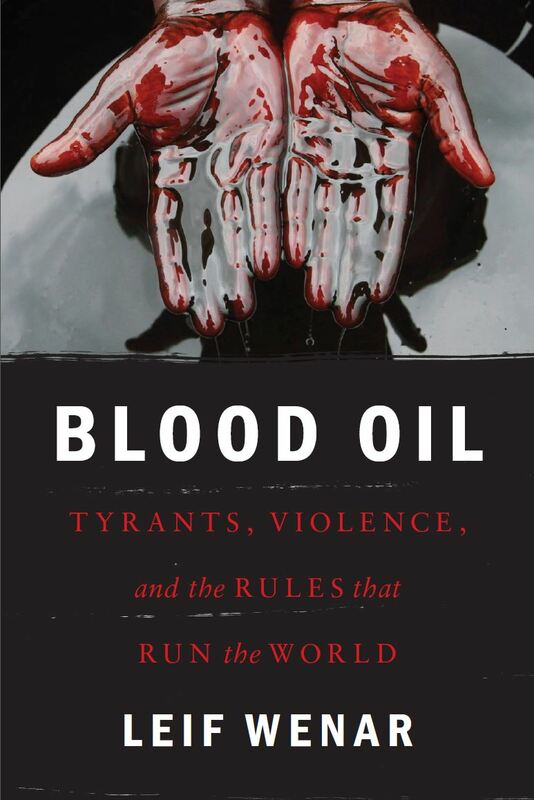 In Blood Oil, one of today's leading political philosophers goes behind the headlines in search of the hidden global rule that thwarts democracy and development-and that puts shoppers into business with some of today's most dangerous men. Leif Wenar discovers a rule that once licensed the slave trade and apartheid and genocide, a rule whose abolition has marked some of humanity's greatest triumphs--yet a rule that still enflames tyranny and war and terrorism through today's multi-trillion dollar resource trade. Blood Oil shows how the West can now lead a peaceful revolution by ending its dependence on authoritarian oil, and by getting consumers out of business with the men of blood. The book describes practical strategies for upgrading world trade: for choosing new rules that will make us more secure at home, more trusted abroad, and better able to solve pressing global problems like climate change. Blood Oil shows citizens, consumers, and leaders how we can act together today to create a more united human future. In Beyond Blood Oil, Leif Wenar summarizes and extends his views in Blood Oil, setting the stage for five essays from first-class critics from the fields of political theory, philosophy, and energy policy. Wenar replies vigorously and frankly to the critics, making the volume the scene of a highly energetic debate that will benefit all scholars, students, and citizens interested in global justice, international security, oil politics, fair trade, climate change, and progressive reforms. Leif Wenar holds the Chair of Philosophy and Law at King’s College London. Michael Blake is Professor of Philosophy, Public Policy, and Governance at the University of Washington. Aaron James is Professor of Philosophy at the University of California, Irvine. Christopher Kutz is C. William Maxeiner Distinguished Professor of Law at the University of California, Berkeley. Nazrin Mehdiyeva is an independent scholar, consultant, and specialist in energy security and geopolitics. Anna Stilz is Laurance S. Rockefeller Professor of Politics and the University Center for Human Values at Princeton University.